With rides to entertain all, from Kids to the true Thrill Seekers! Mark on07779 186774 who will collect if necessary. Sorry, we can not use the red or blue euro pallets. Due to Health and Safety restrictions, people will not be allowed to bring their own sparklers or fireworks. Those that do will have them confiscated. Please note: From 3.30pm until late on 11th November Wellington Rd between Aldi and its jnt with Jubilee Ave will be closed due to the Donnington Bonfire. Bus Service affected will be no. 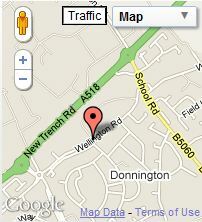 7 – stops missed will be Wrekin Drive, Turreff Avenue, Aldi.